The Syrian conflict recently turned three years old. The anniversary has been marked around the world with #StandwithSyria gatherings and candlelight vigils. The anniversary has been marked in Syria with continued genocide against the civilian population by the military of Bashar Al-Asaad. The conflict in Syria is one in which the numbers speak for themselves. When did the conflict begin? March 6th, 2011. How did this situation start? The government/military opened fire on peaceful protestors. It is as if Obama/Bloomberg sent the army into Occupy Wall Street with shoot to kill orders. What caused the protests in the first place? A gathering protesting the release of political prisoners in Deraa, Syria. Military/security personnel opened fire and killed 15 people. Both the protesting and the executing of civilian, peaceful protesters continued to escalate. Where is the conflict at now? Civil war with each sides allies propping up each side with military and economic aide. Asaad’s allies are Iran and Russia. The resistance’s allies would be the US and EU. Why hasn’t the US, EU, or UN intervened directly? That is the big question. There is no answer that doesn’t involve bias, cynicism, skepticism, or posturing. With those numbers it is hard to fathom the some western power getting in there. The closest any western power has gotten is the US threatening to go in if Asaad didn’t turn over all of his chemical weapons. He presently is, so the US has stayed on the sidelines. Reasons commonly cited are a lack of oil, direct US interests, threat of a proxy war with Russia and/or Iran, and the vast size of the country making a ground war even more of a rabbit hole than Iraq or Afghanistan. I am for a military intervention for the first time in my life. I really do believe that with those numbers the US should send in troops. Just my opinion, I wouldn’t argue it. I just know that we have gone in other places for far less. I read a news story about Syria usually every day. Because every day there is something just gut wrenching to report. There have been multiple chemical weapon attacks against civilians, though the US will only acknowledge one. Those numbers at the very least grab anyone’s attention more often than not followed by sympathy for those in the trenches. Save the Children is a good charity to give to if you are able to. Islamic Relief USA is a good charity for a variety of reasons. Syria is one of the few news events in my lifetime that always makes me stop and think whenever I see something about it. Something like that going on in the world I live in at the same time as social media and Starbucks. Bosnia, Iraq, 9/11, Obama becoming president…none of those grabbed my attention as much as the first time I heard about it three years later. Syria does, I’m not sure why. I’ll still pay attention and try to help in the little way(s) I can, and I hope you will too. I first started paying attention to the civil war in Syria when the body count was 3,000. Back then it wasn’t yet a civil war, there was no Free Syrian Army to begin with, so it hadn’t yet splintered off into seven separate factions. I had heard that essentially the Syrian people were trying to do what the people of Egypt did during the Arab Spring of 2011. The difference in this case was, the president of Syria, Bashar al-Assad ordered his military to open fire and execute all of the protesting civilians. I noticed each day the body count went up by the hundreds, not by the dozens. I noticed when the body count exceeded that of 9/11/01. I never stopped paying attention to Syria, anyone who frequents my Twitter account would certainly agree with me. The sheer numbers of dead, wounded, and refugees has never ceased to boggle my mind. What happened in Libya and Egypt definitely led to me focusing even more on Syria. I think, without judgment, those two had the opposite effect on most people. I understand completely the fatigue of the American public after over a full decade of seeing wars in the Middle East. Afghanistan and Iraq, each day a new bombing, another dozen or more dead, more money spent (or missing) abroad, more fear mongering at home. I empathize rather than demonize the public who just seem to not care about Syria, after all there is no oil there. The American public’s desire to not care about Syria was only aided by the fact that the main stream media didn’t focus on the country’s civil war, despite the staggering body count, until after the sarin gas attack last month. If you get your news from the internet, then you can’t not know about Syria for at least a full year. Even the websites of NBC, CBS, FOX News, and CNN have had regular stories about the conflict, the television stations they are subsidiaries of however, did not. 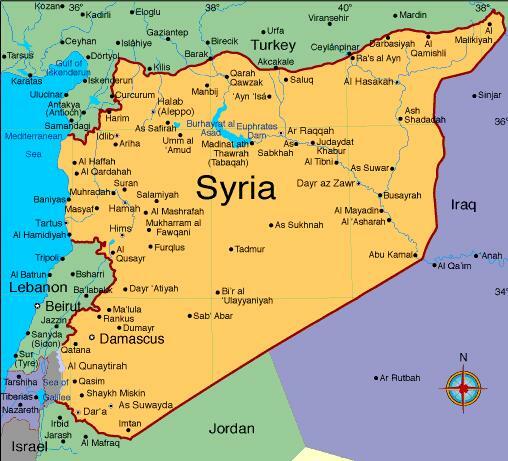 If you get your news from newspapers or magazines, you’ve known about Syria since maybe the beginning of this year. TIME magazine, the New York Times, and Chicago Tribune have all had front page stories on Syria that I have seen with my own eyes. Now, in September of 2013 only the young and the ignorant don’t know about the situation in Syria. It is the lead story online, in print, and on television. Local news, national news, cable news are all leading with Syria. I am happy that the light is finally getting shined on this very bleak and black news story. The death and destruction match any conflict in recent memory. Syria’s civil war is not an indie band that just got signed to a major label, I’m not proud that I was calling for US intervention before it was cool. But I am a supporter of US intervention. I was not a supporter of Operation Desert Storm or it’s much less successful sequel. I was a supporter of intervention in Kosovo. I was not a supporter of invading Afghanistan after 9/11 since it was not a country that attacked the United States. I was a supporter of the small scale, special operation, tactical assassination of Osama bin Laden which I believe should be the blueprint for all of the military presence of the United States in the Middle East for the last decade should have been. I was not a supporter of our involvement in Libya. I am a supporter of the intervention in Syria. I wish I had a year and a half backlog of blogs and articles to show the consistency of my stance on this issue, but I don’t. I wish all of my writings on the topic would give me some credibility with anyone who reads this article, but I don’t. I haven’t been writing for anything other than academic purposes for the last two years. Syria is a major factor in changing that. I thought the United States military should have intervened over a year ago. We have after all, along with the United Nations, been arming the rebels. That is going half pregnant, either we support the rebels or we don’t. Since Obama has proven to be just as much a supporter of the Military Industrial Complex as his predecessors, then let’s put that machine to use when literally hundreds of thousands of innocent civilians are being slaughtered. I long for the day we as a country are officially isolationist, with an eye on the military operations of other countries akin to what is happening in outer space. The money we need to pump into our schools, bridges, roads, and social safety net programs is being spent on a rubber stamped military industrial complex budget every year. I will be the first to say spend that money at home and not abroad. I’d love to have an embassy in every country and not a military base. Until that day comes, and by day I mean peaceful upheaval of basically everyone in power in national office, America is the World Police. If we are going to play World Police so we can control the price of oil, then we can play world police for thousands of innocent civilians being slaughtered every day.